The past few years have shown how our propensity to speculate and to share online can quickly transform a fringe thought into conventional thinking. 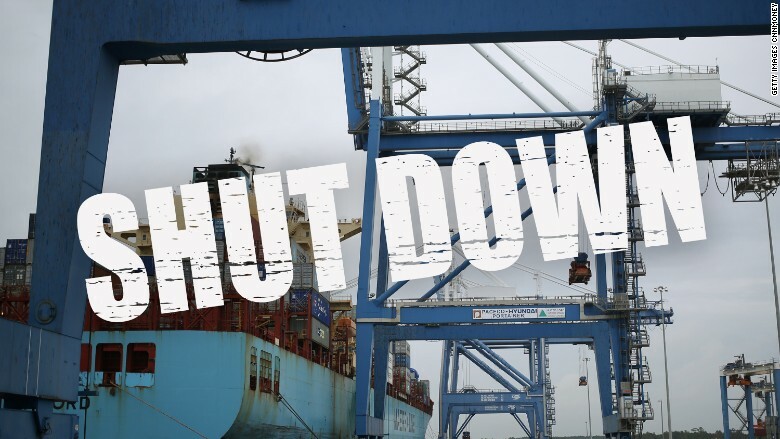 On Wednesday, we got new evidence of the potential real-world consequences as a trio of conspiracy theorists with a modest following inadvertently shut down part of one of the United States' largest ports. The theory: a cargo ship with a "dirty bomb" was just outside of Charleston, South Carolina. During the broadcast, conspiracy theorist George Webb initially claimed a "source" had told him that there was "a dirty bomb planned for a major city." Based on the information from the "source," Webb said he believed Memphis might be the target. His "source" had "talked to five different sources," he said, adding that his source "had to drive there [to meet other sources] without cell phones." Webb went on to say of his source, "he's been right every time." Webb's allegations were broadcast on "Crowdsource the Truth," a conspiracy theory YouTube channel with a relatively modest 11,000 subscribers. Two other people appeared on-screen with Webb, all remote of one another -- Webb said he was in Ohio. Throughout, the trio read and responded to live comments from their audience -- which reached 2,000 viewers at some points, according to one of the hosts. Webb posts daily on his own, separate YouTube channel, hosting a series he calls "Hillary's Leakers, Hackers and Henchmen." His videos rarely get more than 10,000 YouTube views. After Webb mentioned the "Memphis Maersk," the audience quickly sprung into collective action through a "Crowdsource the Truth" Facebook group and the live comments section that accompanied the YouTube broadcast. About an hour later, Webb's onscreen counterpart, Jason Goodman, who runs "Crowdsource the Truth," called a number he said was the Coast Guard while still live streaming. Goodman identified himself to the person on the other end of the line as a "reporter with an independent news agency," and began telling them about the alleged threat before he was interrupted. "Is this the 'dirty bomb?'" the person asked — someone had already called it in — perhaps someone watching the live stream. A few hours later, the Coast Guard said the terminal where the Maersk Memphis was docked had been evacuated after they were made aware of a "potential threat," and that an investigation was underway. As the search was ongoing, Webb appeared again on YouTube, telling Goodman that he had been speaking to authorities about the alleged threat and describing his source as "brave." The Coast Guard said in a further statement provided to CNN that the source of the threat had been detained by authorities for further questioning. The statement did not mention Webb's name, however. He was, at the time, due in court, having been found in his car and suspected of being under the influence of alcohol. He came to police attention after a person reported a "suspicious car" in the early hours of Thursday morning, police in Zanesville told CNN. Webb attempted to explain why the ship had a "risk profile," claiming that he and his "sources" believed the ship had traveled between Pakistan, India and the US with "limited or no checking." Speaking later on Friday to CNN, Webb said that it was unfortunate that "there was a bit of a frenzy" created as the ship "just happened" to be docking in Charleston as he spoke about it live on YouTube. Webb said during Wednesday's live stream, "I'm saying watch the Memphis Maersk because it could be that the bomb is on a ship and not the city." Webb said he and his audience did the right thing by bringing their suspicions to the attention of authorities. "No one says to a person who calls in a suspicious bag, no one asks them if it is irresponsible," he said. When asked by CNN if he was troubled that the entire dirty bomb theory was false, Goodwin, told CNN, "I'm just glad there was no toxic radiological event."